to the best products, services and in-field assistance to maximize their production. Agtegra Cooperative was formed in February 2018 from a unification of two legacy-rich, farmer-owned cooperatives. Agtegra Cooperative is governed by an elected board of directors who represent four territorial districts and one at-large district. Each director is an active agricultural member. Agtegra Cooperative is dedicated to providing the safest workplace possible for all our employees and member-owners. We believe safety is of utmost importance. 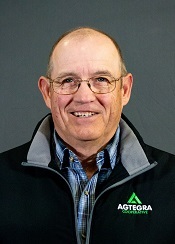 Agtegra Cooperative is an innovative, farmer-owned grain and agronomy cooperative with more than 6,300 active member-owners in eastern North and South Dakota. In addition to offering grain and agronomy services, Agtegra offers its members aerial application services, fuel, feed, and precision ag hardware and software products and services. Agtegra Cooperative promotes agricultural sustainability through the best applications of science and technology in an effort to assist farmers in the production of a safe, healthy and abundant supply of grain in an economically viable system. Agtegra Cooperative was formed in February 2018 from a unification of two legacy-rich, farmer-owned cooperatives – 95-year-old South Dakota Wheat Growers (Aberdeen) and 102-year-old North Central Farmers Elevator (Ipswich, SD). Both cooperatives formed at the turn of the 20th Century to serve their pioneer customers and communities. Across the sparsely settled countryside, the economic advantages of joining together gave rise to the cooperative legacy of service, value and working together. Over the years, generations of members have worked and adapted to the changes that have occurred throughout agriculture. Today, at farmer-owned Agtegra, that legacy-rich, future-focused cooperative spirit continues to thrive. Our devotion to superior service, relentless innovation and member success is at the forefront of everything we do. We give members access to the best products, services and in-field assistance to maximize their production. We dedicate our efforts to safety of our employees and members in all that we do. And we commit to supporting our members and their communities for generations to come. Successful organizations are those that have a clear focus on how to serve their customers. Agtegra has developed a purpose statement that is designed to give us that kind of focus. The statement is short, easy to remember, and provides a clear direction. We exist to support our members and patrons, helping you succeed in your operation. 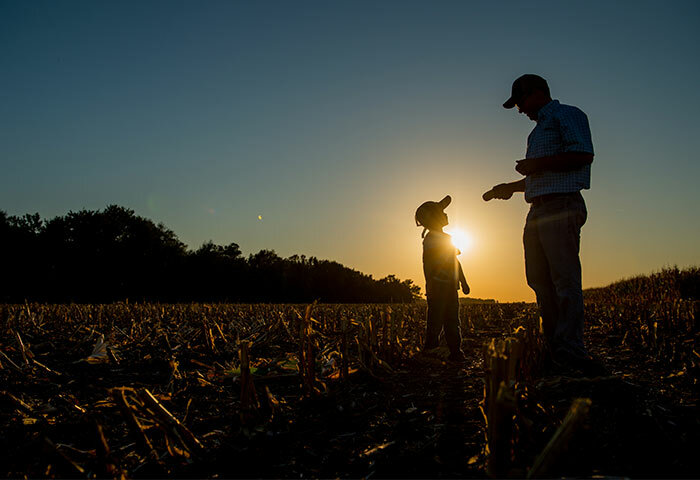 As you succeed, you’re able to prepare your farm for the next generation. We want to be there with you, serving as your link in achieving that success, in connecting today to the future. We are grateful for the opportunity to serve our members and patrons in this way. These will be the values that guide us in serving you, today and for generations to come. Agtegra Cooperative is governed by a board made up of active agricultural producers that are elected by our members. The Board of Directors is backed by Delegates elected by the members. The Delegates serve on the Delegate Council and act as a liaison with the members by providing valuable insight to the Directors. 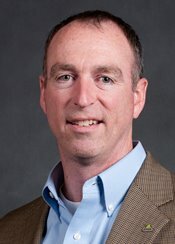 Chris is Chief Executive Officer for Agtegra Cooperative. 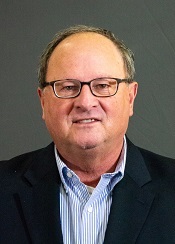 He previously served South Dakota Wheat Growers as Senior Vice President of Operations and then Chief Operating Officer from 2013 to 2018. Chris’s cooperative career began in 1993. He held numerous roles in a local cooperative in southwest Iowa where he grew up. In 2000 he joined Farmer’s Cooperative Company (FC) of Farnhamville, IA (which later moved its headquarters to Ames, Iowa). While there he honed skills in operations, department management, cooperative strategy, financial analysis, people management, construction, and merger transitions. 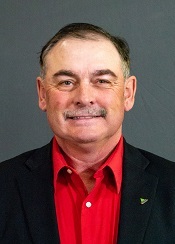 Starting in 2002 he served as FC’s Vice President, Feed Division, for six years – followed by two years as Senior Vice President, Agronomy and Feed, and two years as Chief Operating Officer. Chris is a graduate of Iowa State University with a B.S. in Ag Studies, and also holds a one-year Bible Certificate from Faith Baptist Bible College in Ankeny, Iowa. He is a staunch advocate for local cooperatives and believes in farmer ownership of the businesses that serve them and in the value they bring to rural communities. 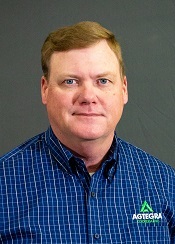 John Husk is Chief Operating Officer for Agtegra Cooperative. 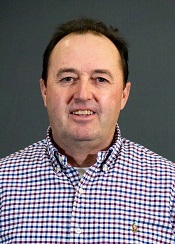 He previously served Wheat Growers as Senior Vice President, Operations, from 2016 to 2018. 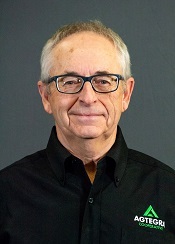 He has more than 40 years of agribusiness leadership experience from the grain and agronomy supply side of agriculture. 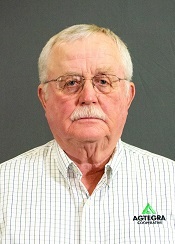 John began his career as a crop scout for Huntting Elevator Company in 1977. For the next 20 years he was the General Manager of Huntting’s businesses in Hayfield, Waltham and Claremont, Minnesota. 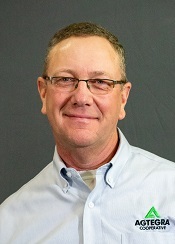 In 1997 John was promoted and transferred to the company’s flagship facility in Canton, South Dakota. 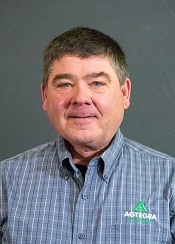 The sale of the company in 1997 prompted John to move to the cooperative side of the farm supply business. 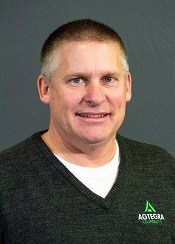 In March of 1998 he was hired as the General Manager of Fremar Farmers Cooperative Inc. in Marion, South Dakota. Also in 1998 he was successful in creating a partnership with Archer Daniels Midland and Fremar in the grain division of the business. 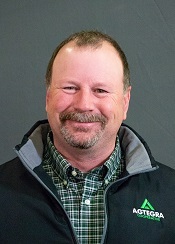 After a 3-year stint as the National Sales Manager for a swine genetics business, John returned to the grain and agriculture supply business in 2003 as the President and CEO of Elburn Cooperative. 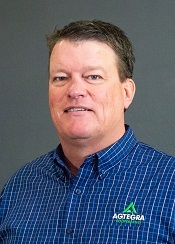 The next 12 years John led the company through very dynamic growth and success as it transitioned to a regional cooperative presence in northern Illinois before leaving in 2015. 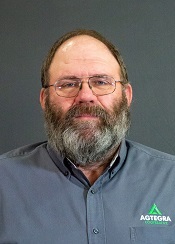 John has most recently been a General Manager for a portion of Southern States Cooperative. 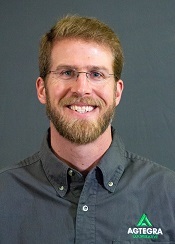 John attended Austin Community College and Iowa State University with a major in Agriculture and Agriculture Business. Tracy Linbo is Senior Vice President of Agronomy, Communications & Marketing for Agtegra Cooperative. She had held that role with Wheat Growers starting in 2017. Tracy’s understanding of current market dynamics, agronomy challenges and producer demands enable her to play a key role in identifying new, meaningful ways to contribute to members’ success. She is a recognized leader in agriculture, having led global planning and strategic development for multiple business units of DuPont Pioneer and BASF. Her 25 years of experience in agribusiness includes 10 years at DuPont Pioneer. Prior to DuPont Pioneer, she spent more than 14 years at BASF Corporation, serving in multiple leadership roles in various domestic and global initiatives of the BASF crop protection business. Her extensive skill set includes sales, marketing, strategy, business planning, regulatory, production and supply chain across the international agriculture business. Tracy is a member of the boards of directors of the Ag Retail Association (ARA), Consolidated Sourcing Solutions (CSS) and FieldReveal. A native of Plainview, Minn., she received her bachelor of science in applied economics with an agronomy emphasis from the University of Minnesota College of Agriculture. Blake Bomesberger is Chief Financial Officer of Agtegra Cooperative. Blake has a Bachelor of Science Degree in Business Administration from Northern State University, with majors in Accounting and Business Management. He is a Certified Public Accountant (CPA). 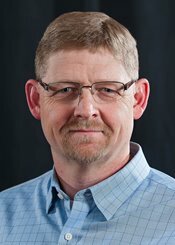 Blake had been with Wheat Growers since 1998 and served as Controller for 11 years until being promoted to Chief Financial Officer in 2009. 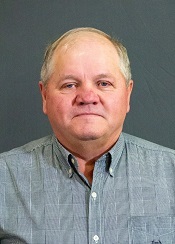 Prior to joining Wheat Growers, Blake was a Supervisor in the Business Services & Tax areas for 7 years with Eide Bailly, LLP a Certified Public Accounting and Business Advisory firm and a Corporate Motel Accountant with Super 8 Motels for 2 years. South Dakota Association of Cooperatives (SDAC) for the past 6 years. 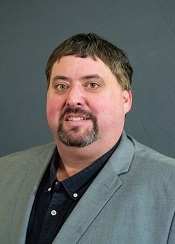 He has served as a Managing Member of MZB Technologies, LLC for the past 6 years and is past President of Dakota Lakes, LLC. He is a member of the National Society of Accountants for Cooperatives (NSAC), American Institute of Certified Public Accountants (AICPA) and the Legal & Tax Committee of the National Council of Farmer Cooperatives (NCFC). Judy Stulken, SPHR, SHRM-SCP, is Senior Vice President, Organizational and Member Development for Agtregra Cooperative. Judy had previously served as Senior Vice President of Human Resources with Wheat Growers from April 2008 to February 2018. Prior to that she was with Student Loan Finance Corporation where she had served as Vice President of Human Resources. Judy has a Bachelor of Science degree in business management from Moorhead State University and Master of Science degree in business management from Black Hills State University. Judy also is a member of the Society of Human Resource Management (SHRM) and Aberdeen Area Human Resources Association. Judy serves on the Board of Directors for Agricultural Cooperative Employment Services (ACES). 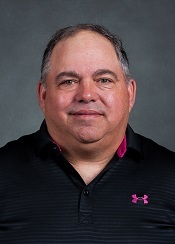 Dan Rosenbaum is Chief Information Officer for Agtegra Cooperative, having joined Agtegra from Land O’Lakes where he served 8 years, most recently as Director of Technology Services. 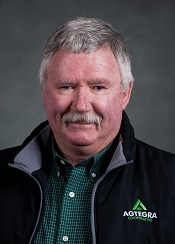 In that role, he became well acquainted with the business challenges of cooperatives and how to successfully incorporate enterprise solutions to the ag retail market. 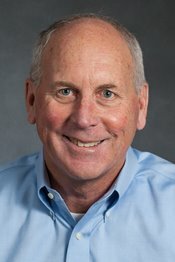 Dan previously held leadership positions at Ingersoll Rand and Doosan Infracore International, two large industrial manufacturers. His experience includes global ERP implementations, off-shore development, business process redesign, and delivering business capabilities through the omni channel. 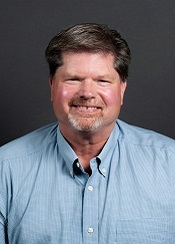 Dan actively participates on several advisory boards and holds a B.S. in Management Science and Information Technology from Virginia Tech. 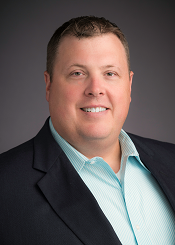 Jason Klootwyk is Senior Vice President of Grain Marketing and Rail Logistics for Agtegra Cooperative. 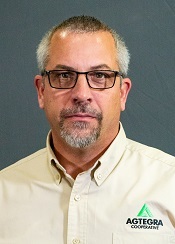 He joined Agtegra Cooperative from Bunge North America where he held multiple positions including Specialty Grains Manager, Commercial Manager, Region Manager, Director of Interior Assets, and most recently Director of North American Origination. With Jason's focus on customers and the legacy rich history of the cooperative, he is enjoying his role at Agtegra Cooperative. Qualified Patronage Allocation – Agtegra Cooperative’s Board of Directors has approved a $10M qualified patronage allocation for 2018 with $4M (40%) to be paid in cash. Dividend checks will be mailed the first half of December. Old Year Equity Retirement – In addition to the qualified patronage dividend Agtegra’s Board has approved the payment of old year equity totaling $4M. Old year equity checks are scheduled to be mailed in late November or early December. Non Qualified Patronage Allocation – There will be no non-qualified allocation for 2018. Domestic Production Activities Tax Deduction (Section 199) – Agtegra will be passing through $9M of this tax deduction to patrons in 2018. Section 199 allocation letters will be mailed the first week of December. The word “cooperative” means working or acting together for a common purpose. As a legacy-rich, future-focused cooperative, Agtegra Cooperative is dedicated to supporting the success of its members and the health of their communities for generations to come. From our strength and stability, we seek to apply our resources to sustaining local, small-town service. At Agtegra Cooperative, we believe supporting strong, stable communities is at the heart of our commitment to our members. As your cooperative, we stand ready to face today’s challenges and tomorrow’s opportunities. Our connections begin with our most valued assets: member-owners and their communities. We are proud to support community and charitable organizations throughout our growing area. To request a sponsorship or donation for your organization, please fill out and submit the form below. Is your request needed by a certain date? Please clearly state your goal while describing your request. Also, please note that a submitted request does not guarantee a donation. At Agtegra, we believe there’s nothing more important than safety. Farming, grain operations, crop protection product handling, and agriprocessing – these can be hazardous jobs if safety isn’t made the top priority. That’s why Agtegra adopted BASE: Behaviors Achieving Safety Excellence. Essentially, it’s a plan to enlist the eyes and ears of every Agtegra employee to observe how we work and make suggestions on ways to improve safety. Agtegra is dedicated to providing the safest workplace possible for all our employees and member-owners. - Vice President of Safety and Environmental Affairs, Bill Spreeman, who brings more than 30 years’ experience to the position. - Designated regional safety managers help carry safety initiatives throughout Agtegra’s trade territory. - Through continuing education and safety training events across the entire organization, our safety team facilitates ongoing identification of safety strengths and areas for improvement. - Our extended safety team of 40 B.A.S.E. (Behaviors Achieving Safety Excellence) Observers conduct more than 3,800 observations annually aimed at affirming safety practices and behaviors. - Our team of Agtegra Cooperative employees, all dedicated to achieving the highest levels of safety performance every day at all 62 of our locations. For more information, to share questions or comments, there are several ways to reach us. You may use the contact form below or phone us toll-free at 888-429-4902 or locally at 605-225-5500.